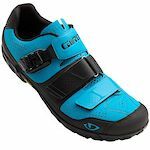 Brand New Giro Chamber 2 - Size 43. Never worn. Awesome shoes! Five Ten Impact Team Black mens MTB shoes size 9. In used but good condition, as shown in the pictures but I sold my mountain bike so these need to go. Local pickup only. Polaris Neo Speed Overshoes - Medium (for sz 41-42 shoes) Worn a few times and in excellent condition. Price is firm. Cleaning out my closet and getting rid of some extra shoes. Pearl Izumi black MTB cycling shoes with ratchet straps and velcro. Mens size 43 In fair condition as shown in the pictures but lots of life left. Price is firm. EU size 45, US size 10.5. Good used condition with plenty of life left. Shimano cleats in great shape. Stiff lightweight shoe with carbon reinforced sole and just enough flex for comfortable walking and running. $40. Nearly new Shimano SH-MW5 Waterproof shoes. Size 44. Turns out I'm a 45. Awesome shoes, warm and waterproof. Retail is $260 CAD. I have 2 pairs of brand new in the box Specialized Comp MTB shoes. Sizes are 44/10.6US and 45.5/11.75US. Shoes retail for $150, asking $60 and shipping will be another $15. Thanks. I have 2 pairs of brand new in the box Specialized Rime Elite MTB. Sizes are 43.5/10.25 and 46/12.25US. Shoes retail for $125, asking $50 a pair and shipping will be $15. Thanks. Bontrager- size 39, ladies bike shoes with 2x Velcro straps + 1x ratchet fastener. Fits two bolt or three bolt cleats. New condition - worn maybe two or three times. Daughter outgrew them. Specialized - size 38, ladies bike shoes with 3x Velcro straps. Fits two bolt or three bolt cleats. New condition - worn maybe two or three times. Daughter outgrew them. In excellent condition. Only used 3 times. I believe they are women specific shoes. The tag says size 8.5 but I normally wear a size 9 and they fit. Selling a pair of Fizik's 2019 range-topping Infinito R1 Road Shoes, men's, black, size 42 (9 US) with Boa IP1 closures. Pre-owned in Excellent condition. Used exclusively on indoor trainer rides this past winter. Zero scuffs on the shoe uppers.